Over my many years in recruitment I have often wondered how to work better with my existing and potential new clients. These thoughts turned into ideas have led to many great ideas and mistakes. During my career, some of my major achievements has been successfully building two recruitment agencies from cold start-up to success and transforming two back from the grave. How have I done this you ask? Well, in order to build or grow a business in recruitment, there are three vital ingredients. In this post I will focus on number #1 – The companies, though more importantly the ‘amount of companies’ you work with. Well in this case, it is the wrong moment in the movie you would be referring to. Think back to the very start of the movie – if you have seen it. Jerry is unable to sleep and during the course of that night, he authors and releases his mission statement. In our industry, we have a history of preaching that we work with EVERY client and that we have X number of candidates on our database – and let’s be honest, is working with every client smart? And, do a large number of clients really mean success? I soon realised that I had become just another recruiter looking to work with as many clients as I could playing the law of averages. What I discovered was that I was only giving each client a small percentage of my time, meaning I was failing to partner with them. When I say partner, I mean truly partnering and them comfortable sharing with us the information of their IT or business roadmap so we can build our Resource Roadmap from them. This is where I bring you to our methodology. We work with clients we choose to work with. We also only work with ones that “help us, to help them’. This has meant that we give clients more of our time, better understand what they need and ultimately fill their roles. To me modern recruitment is not just, “who’s on your books” or stick an ad up on a job board and short-list from who applies. It is about taking our clients vision, brand, capability needs and cultural nuances; embodying it and selling the message to active and passive candidates everywhere. We recruiters spend a large number of hours (15 on average) sourcing the right candidates to build a shortlist. We then usually spend the same number of hours interviewing and preparing these candidates. How are we able to do this for EVERY client? The answer is that we cannot. Therefore most recruiters will cheat time and discount parts of their process in order to ensure they can get a shortlist out to all their clients. I hope that the candidate is presentable as I didn’t even meet them in person. Hopefully you are now able to understand the method to my madness of less clients and why I back my amazing team and their clients to give us the opportunity to “truly partner” with them. So, FEWER clients, means MORE time to our clients. 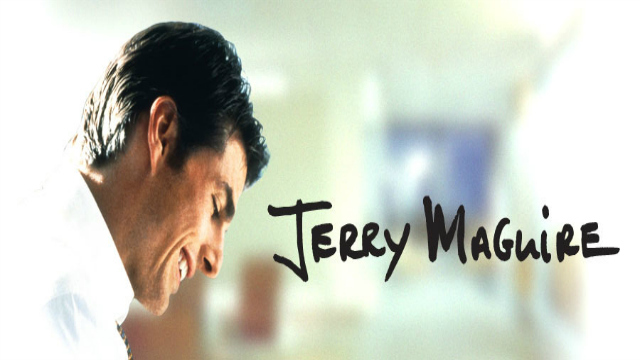 In using this Jerry Maguire methodology, we have seen a major increase of our revenue, candidate satisfaction, client satisfaction and staff empowerment. So while Jerry may say “Fewer clients, less money.” I somewhat disagree. I am sure some of you may say, well I do that anyway. Or, I am a client manager and only work with named clients. I would say you are still WAY too busy and not actually allowing yourself to be inch wide, mile deep to really partner with your client portfolio. Using this methodology means that from time to time, we may have to divorce some companies that are just another number on our books as they are not allowing us to truly partner with them. So always ask yourself am I in the right marriage with this client and do I have a win-win? I have not written this in the middle of the night on a whim of emotions like Jerry, I am just a big believer in really helping our clients and so in order to do that we need to help ourselves and create the luxury of more time. I will finish echoing the final monologue of the Jerry Maguire movie, though I have added a little bit to it.